One of the most indelible images of this trip is this bottle of water. During yesterday's Boodle Fight organized by the Gawad Kalinga, I was enjoying the communal lunch with a group of kids, around 5 to 8 years old, who were all happily stuffing their faces with rice, pansit bihon, fried fish, and ginataang gulay. At one point, they all needed some water to wash down all the food~ so I gave them the one bottle I had brought with me. The children shared the water among themselves, each taking a carefully measured sip, to ensure that everyone in their group got a swallow or two. I left them to go to the covered area a block away for the Operation : Santa gift giving, and a few minutes later, when I was halfway there, I heard a child shouting "Kuya Batman! Kuya Batman! ", and turned around to see a little girl, one of the kids I gave my bottle to, running towards me with the same bottle~ now full again with clean water that she'd asked from one of her neighbors. As she reached me, with the biggest, sweetest smile, she said "Salamat po!" and handed me back my bottle, replenished and refilled. I was almost too stunned to say thanks to her~ I managed to, but I had to put on my shades. 'Random acts of Kindness'. At the back of my mind, I always thought it would be great if the kids we've interacted with through this project would grow up cherishing these memories, and in turn, when they are of age, remember to always be ready to be kind to others. Little did I know that in this instance, I'd be the first person to experience that little girl's random act of kindness. I visited Tacloban with my friend Spanky to create an ongoing Voluntourism Program in partnership with Operation Santa, to help the people of Leyte affected by Typhoon Yolanda. As donation fatigue sets in, the artificial economy created by International aid is removed, and the media starts to focus on 2016 politics, the Yolanda-affected areas will be forgotten — unless we do an ongoing program to help the people rebuild. I love Tacloban because of its yummy food and warm hospitality. Visiting the city, 140 days after the typhoon hit, changed our life perspective forever. Tacloban is the Ultimate Leyte Pasalubong haven. The top 4 pasalubong from Tacloban are Binagol, Chocolate Moron, Sagmani and Carigara’s Pastillas. 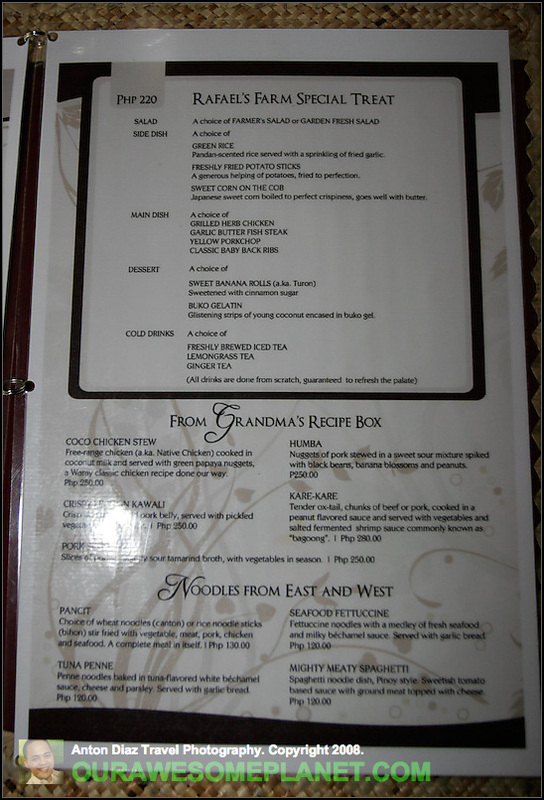 I would recommend that you buy all your pasalubong from Tita Aida’s delicacies along P.Zamora St. (across Chowking). Binagol (P25? /each) is made in the town of Dagami. It is made of talyan (a root crop similar to gabi). coconut milk and sugar. It is called binagol because the mixture is placed inside a coconut shell called “bagol” and steamed inside. We love the sweet surprise hidden at the bottom of the coconut shell. Moron (P25? / each) is a suman with chocolate flavor. It is made of ground rice cooked in coconut milk then flavored with cocoa. It is smooth like a budbud kabog. Just imagine a suman dipped in chocolate batirol. Our favorite! Sagmani (P25? /each) is the less popular among the pasalubong delicacies. It is similar to Binagol but it is made of cassava, gabi or sweet potatoes. It is cooked with coconut cream, sugar and sometimes coconut meat. Carigara’s Pastillas Special (P150). The special pastillas of Carigara is made of pure carabao’s milk. . Addicting. PS. For Tacloban folks — can you validate my price for Binagol, Moron and Sagmani? I forgot. I like the cozy and homy vibe of this cafe. 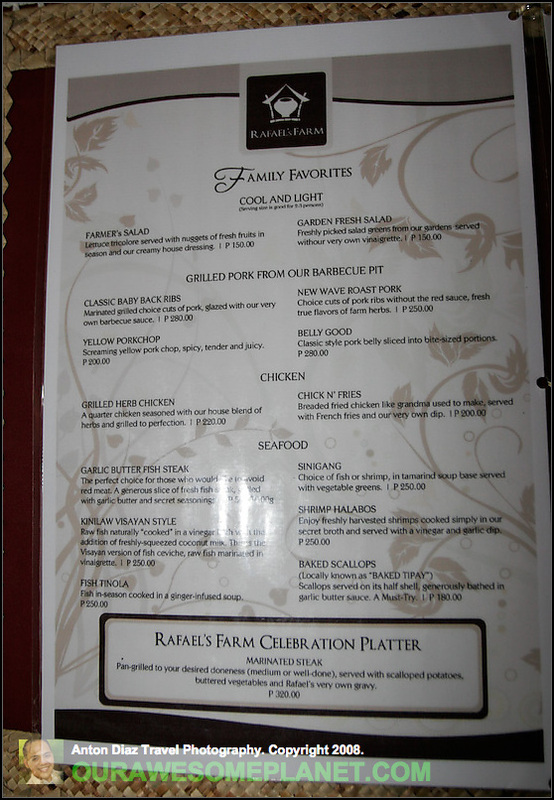 They are famous for their Spanish-style bangus and orange ribs. One of the interesting displays inside the restaurant is Anjanette Cabansag's (the owner) collection of Coke stuff. Spanish Style Bangus (P130). Brings back memories of the spanish style sardines I used to love when I was a child. 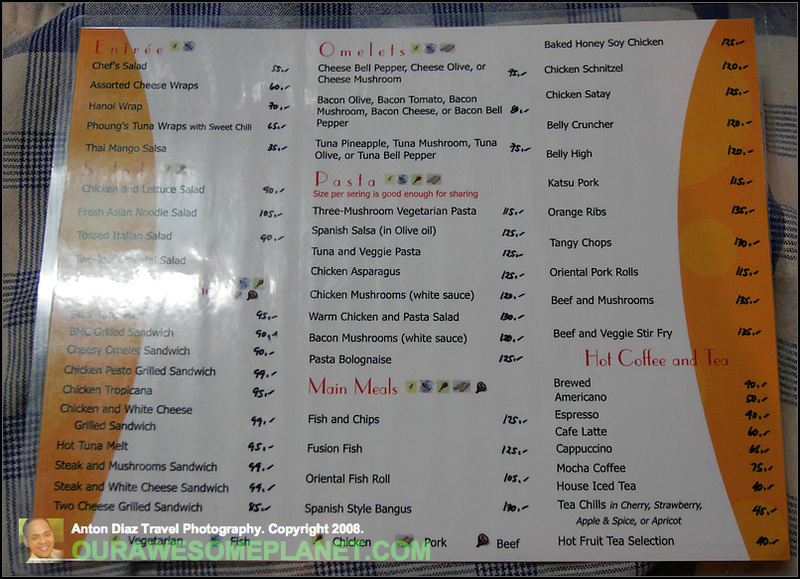 Assorted Cheese Wraps (P60). Simple with a nice presentation. Anjanette Cabansag's Coca Cola Collection. I wonder if this is also part of Coke's campaign to paint the town red like in most sari-sari-store in the city. 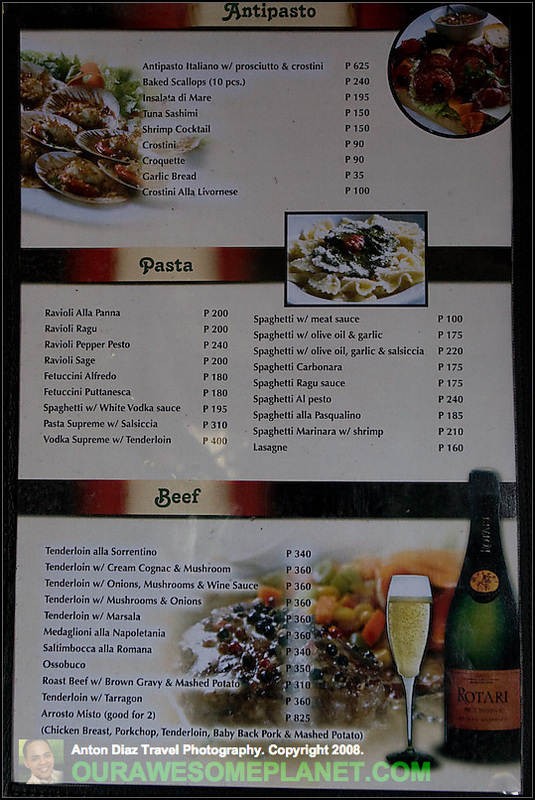 For 16 years, Guiseppe is the best italian restaurant in Tacloban. Joseph (Guiseppe in italian) Bonavitacola married a filipina and decided to establish a family in Tacloban. Taclobanons would go to Guiseppe for special occasions and celebrations. They are famous for their steaks and pizzas. 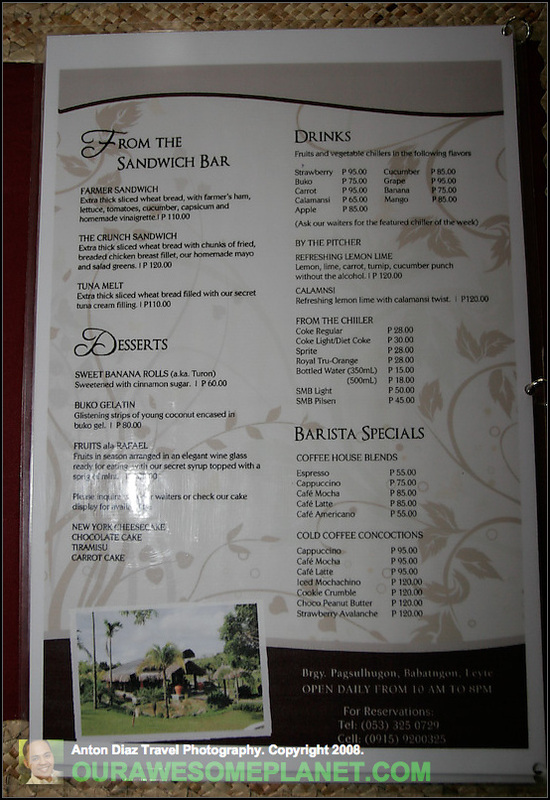 For Manila tourists, people would come here if they don't know where else to eat in Tacloban. Guiseppe is to Tacloban as Sutokil is to Cebu. 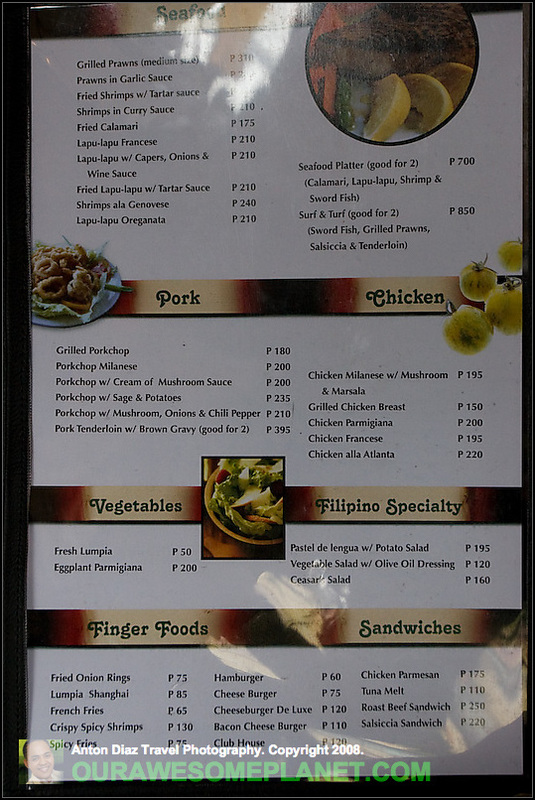 The food is really good but why would you want to eat in a Manila-style restaurant when you are in the province. 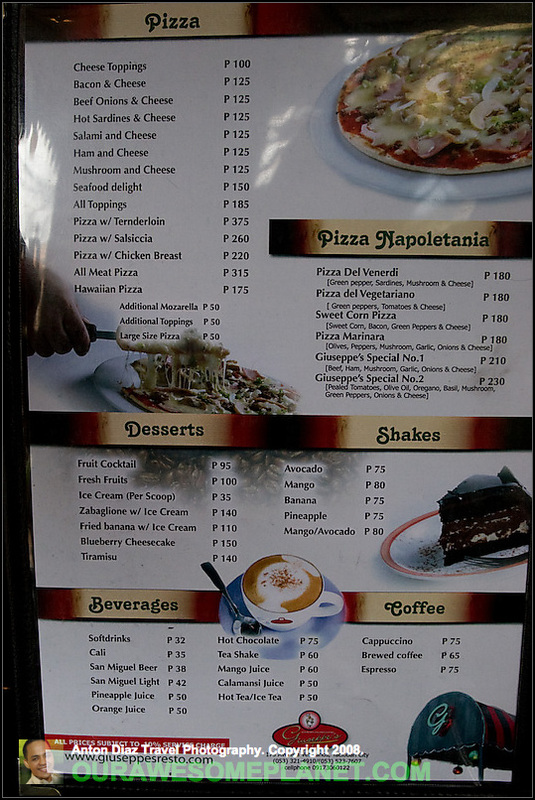 Pizza All Toppings (P185) served on thin crunchy crust. Jose Karlos is the best and original Filipino designed cafe in the Philippines. 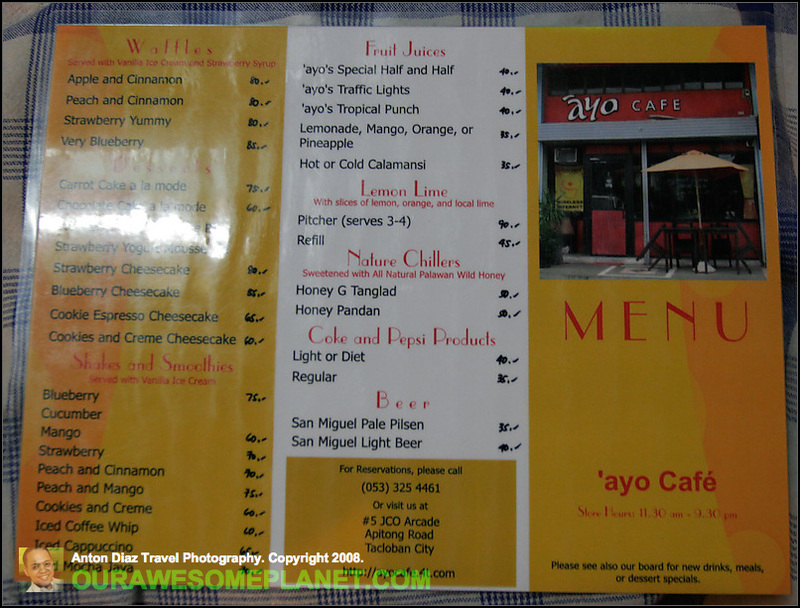 This is better than any of the Filipino cafes I have seen (like Kape Isla, Bo's Coffee, etc.) in Metro Manila. Starbucks would look like an ordinary chain of coffee stores compared to Jose Karlos. I would like to commend the owner for a job well done with this cafe. 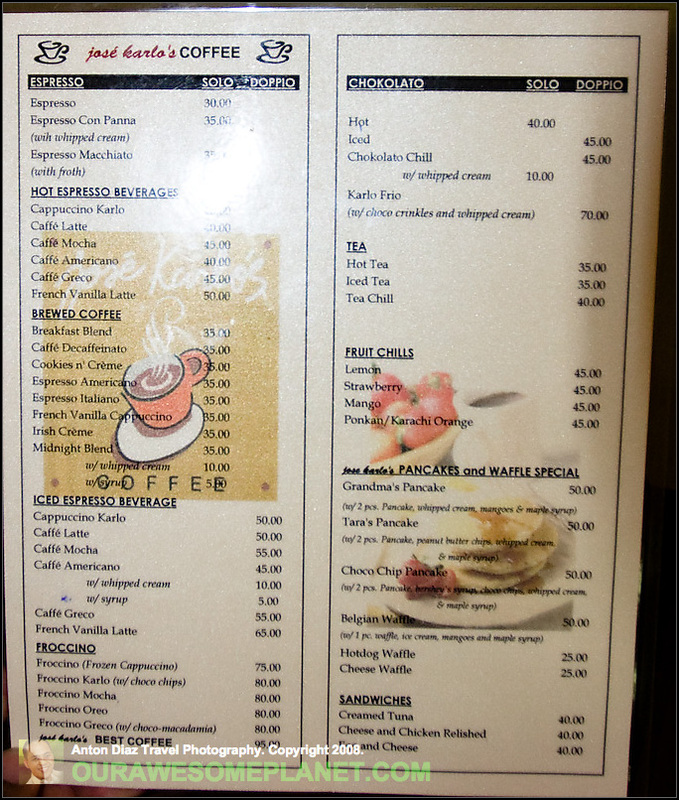 Jose Karlos Coffee Menu: Expresso, Brewed Coffee, Iced Expresso Beverage, Froccino, Chocolato, Tea, Fruit Chills, Pancakes and Waffle Special, Sandwiches. It is nice to hang out here instead of Gloria Jeans or Bo's Coffee. In fact, the only edge of those other coffee shops is the free WIFI they offer. For Jose Karlos, I don't understand why they prefer to have an internet cafe and decided not to offer Free Wifi. Most local tourist these days are looking for FREE Wifi spot and I do hope they can offer this service. The ambiance feels like you are just hanging out with your college friends at home. 1. San Juanico Bridge is the longest bridge in the Philippines measuring 2.162 kilometers in length. 2. The bridge connects the province of Leyte and the province of Samar. 3. It is also called the Bridge of Love because it was (allegedly) a gift of Ferdinand Marcos to Imelda Romualdez and to the city of Tacloban. 4. It was constructed in August 1969 and completed (before I was born) in December 1972.